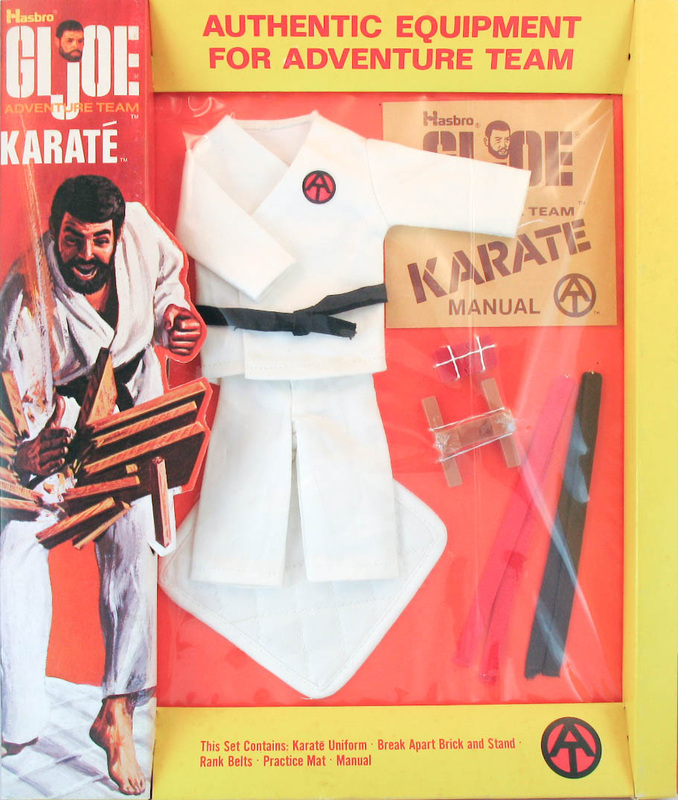 What would any '70s toy line be without a martial arts set? Karate (7372) gave Joe red, brown, and black belts, along with a practice mat, uniform and break-away brick to practice his power chop. There is a hard to find version of this set with a tan fabric suit rather than white, though it may be initially hard to tell apart from a merely dirty white set. See images of this variation below. 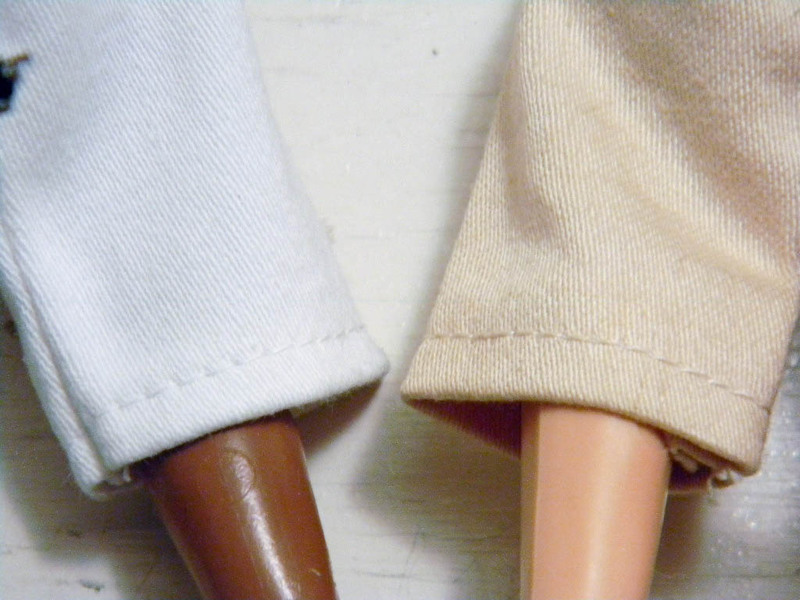 Carl Seaver shared these comparative photos of his tan variation of the Karate outfit. Notice the stitching of the tan suit matches the fabric of this short run version. 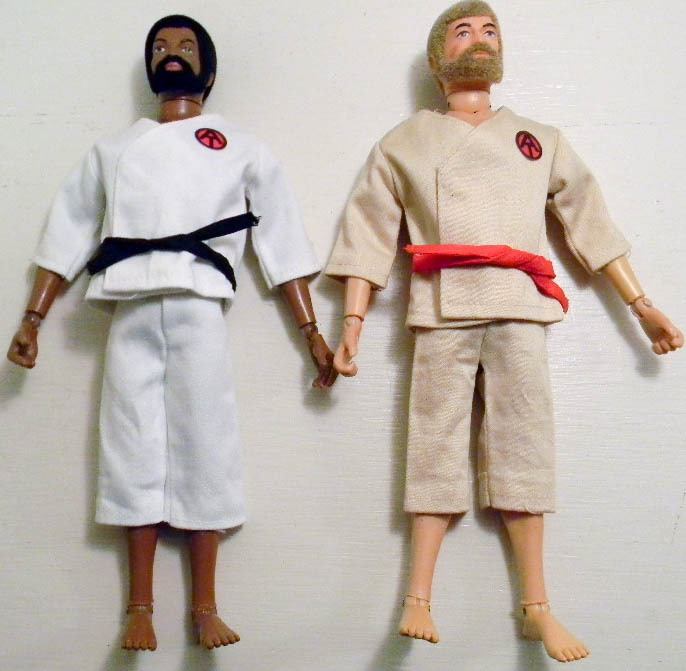 Below, the tan version of the Karate set in the window box, a rare find shared courtesy of Joezeta.